5 Bdrm Detached Dwellhouse set in approx. 3 1/2 acres. Ground flr: V/bule. Hall. Cloakrm with wc. 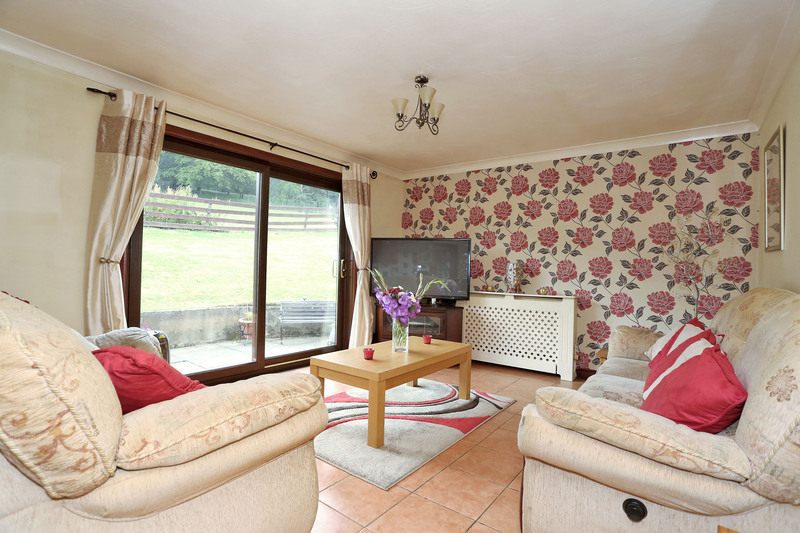 Kitch/Family rm on open plan. Utility rm. Dining rm. Lounge. 1st flr: 5 Bdrms. 1 with ensuite. Bathrm (CT band - G). Garden. Parking. 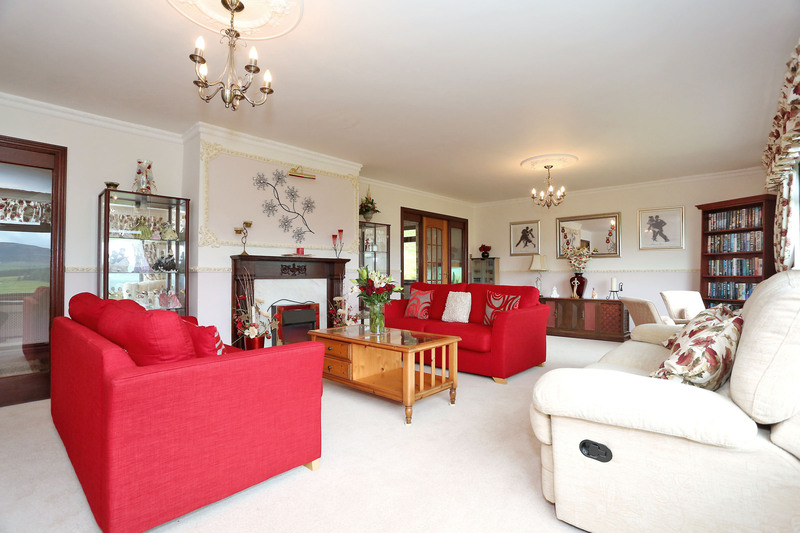 Price over £450,000 Entry by arr. Viewing contact solicitors. (EPC band - D). 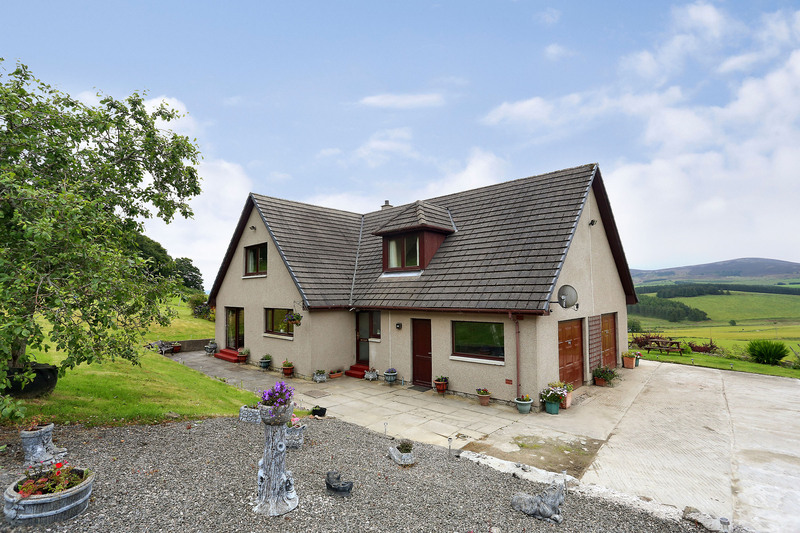 We are delighted to offer for sale this UNIQUE 5 BEDROOMED DETACHED DWELLINGHOUSE with two double attached garages set in approximately 3 and a 1/2 areas of ground with fantastic uninterrupted panoramic views over the country side. Benefiting from oil central heating and double glazing though out the accommodation which spans two floors comprises of on the lower floor a spacious vestibule, hallway with carpeted staircase leading to the upper floor, cloak room, kitchen on open plan with the family room, dining room, charming bright and airy lounge with superb panoramic views over the country side and utility room. 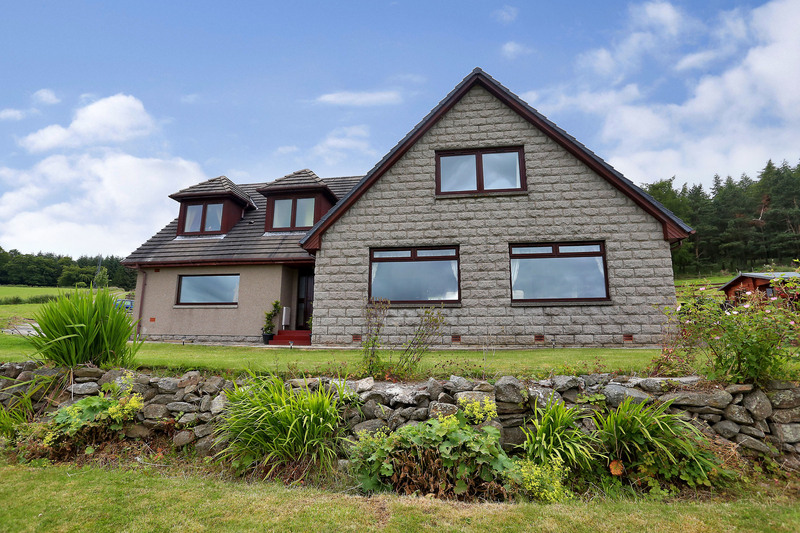 On the upper floor there is the master bedroom with en-suite shower room and sauna room and four double bedrooms and family bathroom. Tanglewood extends to approximately 3 and a ½ acre of ground divided into a large field to the rear of the property, stable blocks, large stone built workshop. Decking with hot tub and summer house. The tiered garden to the front of the property with a plethora of established flowers, shrubs and plants. 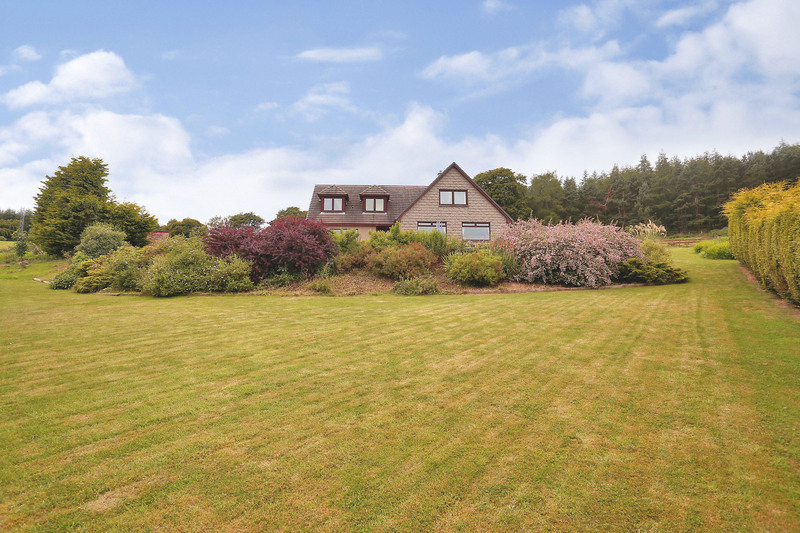 The property has a private water supply with a working well. All light fitment, floor coverings, curtains, blinds, slot in electric cooker, free standing American style fridge freezer, automatic washing machine and tumble dryer are included in the sale price. 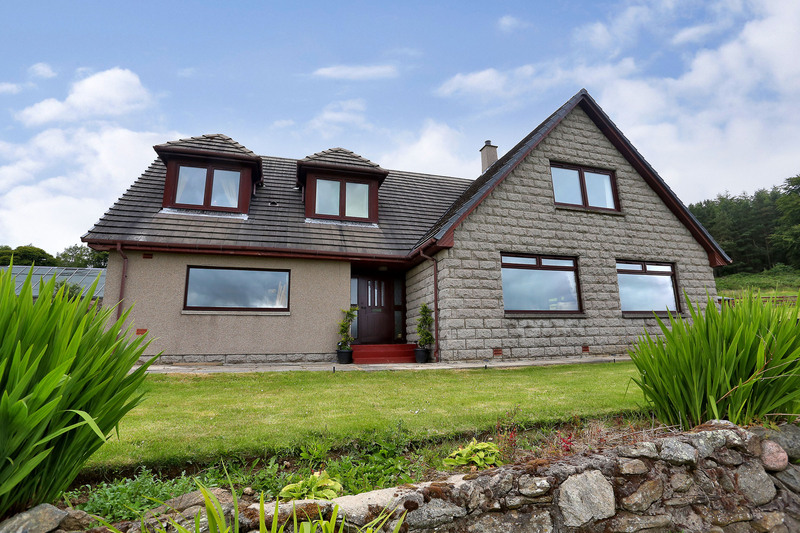 Early viewing of this spacious family home with spectacular views is highly recommended. 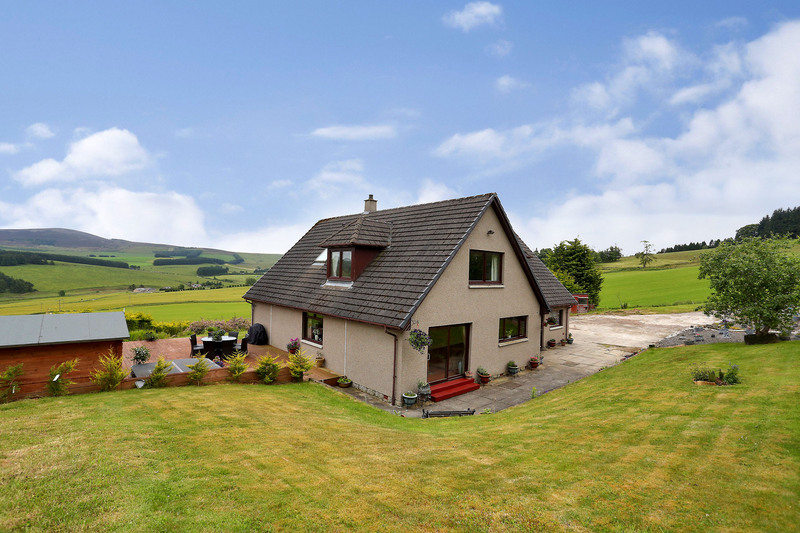 The property is located in the charming hamlet of Craigievar which is located just four miles from the village of Alford. There is a primary school in Craigievar with secondary schooling in Alford. 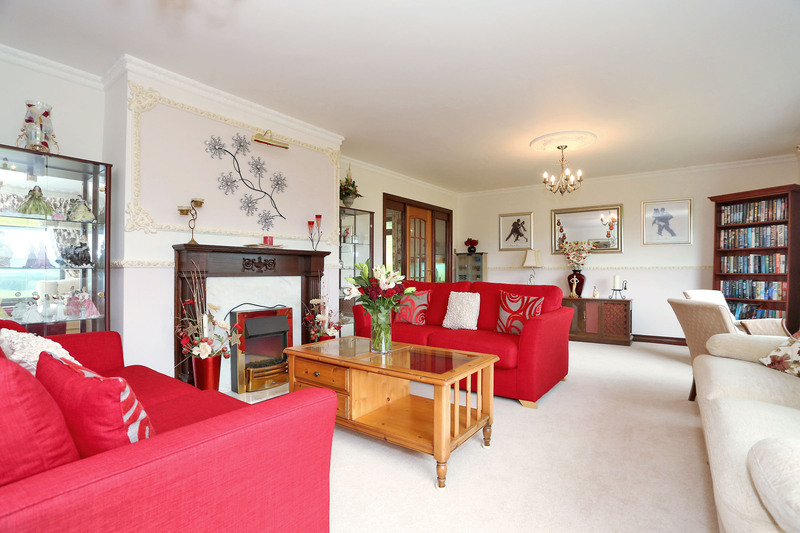 Alford is a thriving village with excellent amenities and recreational facilities including a range of local shops, banks, hotels, a library, a health centre, a golf course, a swimming pool, and a dry ski slope. Public transport is excellent with Aberdeen, Dyce and Inverurie all within an easy commuting distance. Vestibule: A spacious vestibule entered via a hardwood exterior door with opaque glazed side panels. Ceramic tiled flooring. A Georgian style interior door with glazed side panels leads into the hallway. 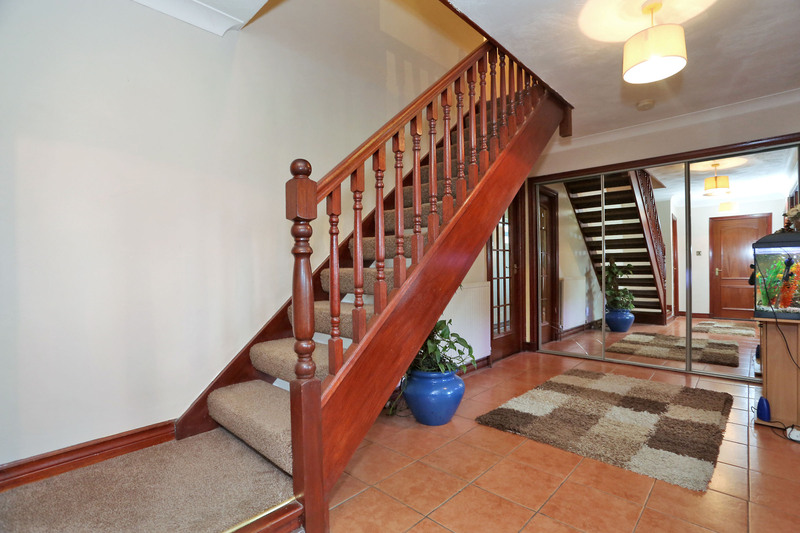 Hallway: A generous sized hallway with carpeted staircase with wooden balustrade leads to the upper floor. Access to the two large double attached garages. Ceramic tiled flooring. Built-in triple cupboard with sliding mirror doors provide excellent storage facilities. Cloak room: 1.78m x 1.02m (5’.9” x 3’.3”) Approx. Featuring a white two piece suite comprising of W.C., and wash hand sink with pedestal. Tiled flooring. Kitchen: 4.73m x 4.11m (15’.6” x 13’.6”) Approx. 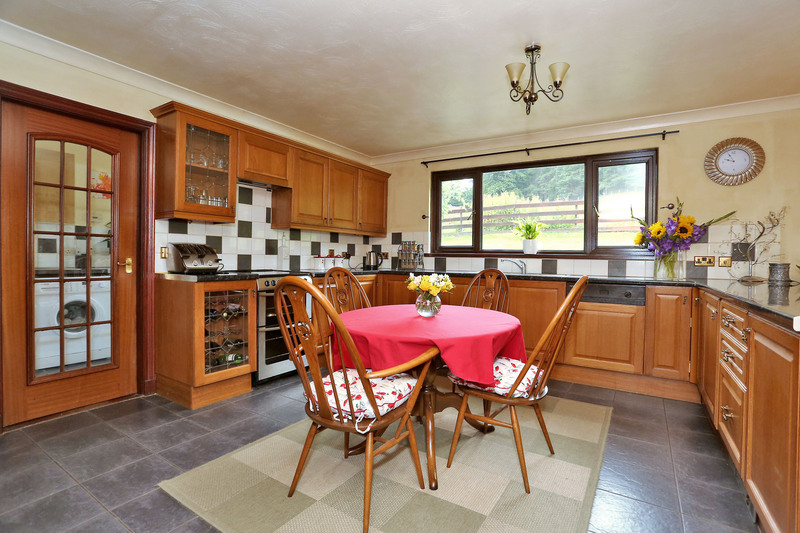 A well proportioned fully fitted kitchen located to the rear of the property. Ample wall mounted and base units with roll top work surface and attractive tiled splash back. Stainless steel sink and drainer with chrome mixer tap. Display and wine cabinets. Integral dishwasher. Slot in electric cooker with extractor hood above and the American style fridge freezer are included in the sale price. Ceramic tiled flooring. Breakfast bar provides further low level cabinets. Utility room: 2.00m x 2.00m (6’.6” x 6’.00”) Approx. Featuring wall mounted and base units with roll top work surfaces. Stainless steel sink and drainer with chrome mixer tap. A deep built-in cupboard provides excellent storage. Ceramic tiled flooring. 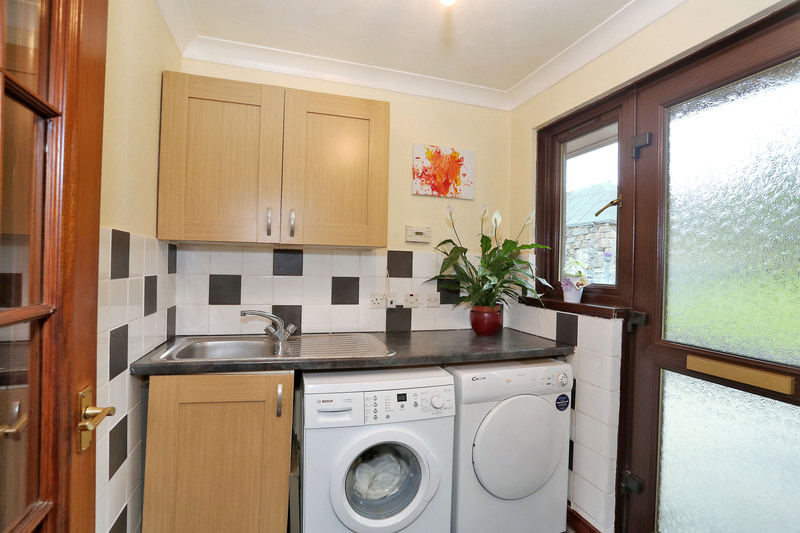 Plumbed in automatic washing machine and tumble dryer are included in the sale price. Glazed exterior door provides access to the rear garden. 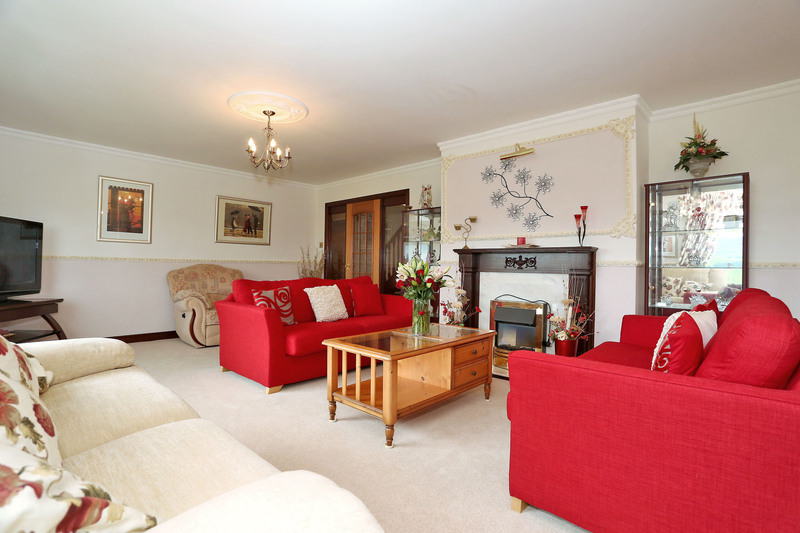 Family room: 4.24m x 3.71m (13’.11” x 12’.2”) Approx. 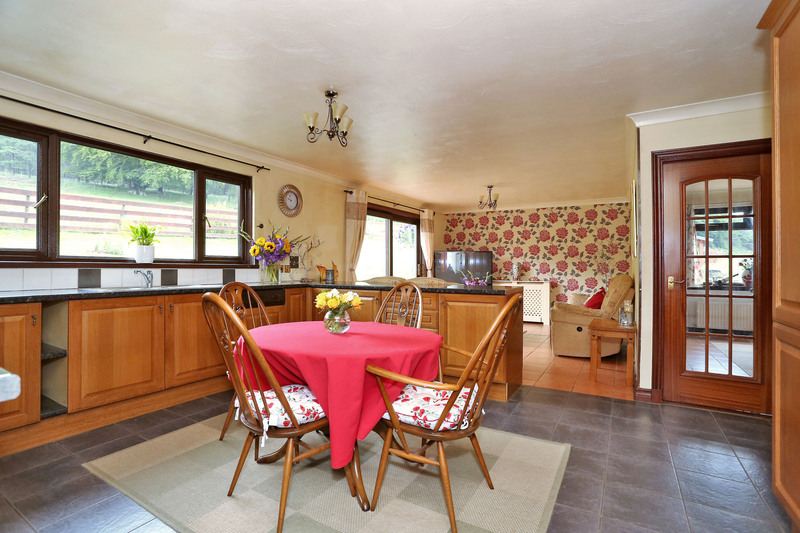 On open plan with the kitchen. Television and telephone points. Ceramic tiled flooring. Curtains. Sliding patio door leads out to the rear garden. Dining room: 4.23m x 3.62m (13’.10” x 11’.10”) Approx. 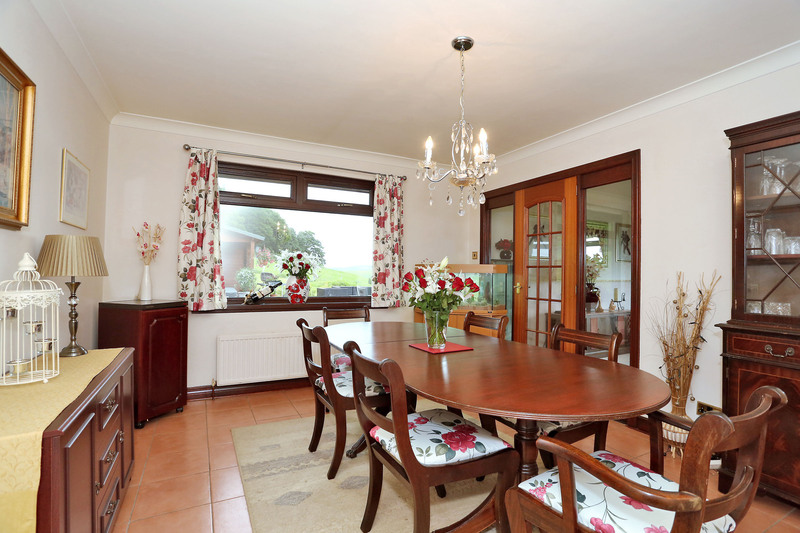 Spacious dining room located to the side of the property overlooking the decking area of the garden. Lounge: 4.54m x 8.38m (14’.10” x 27’.6”) Approx. 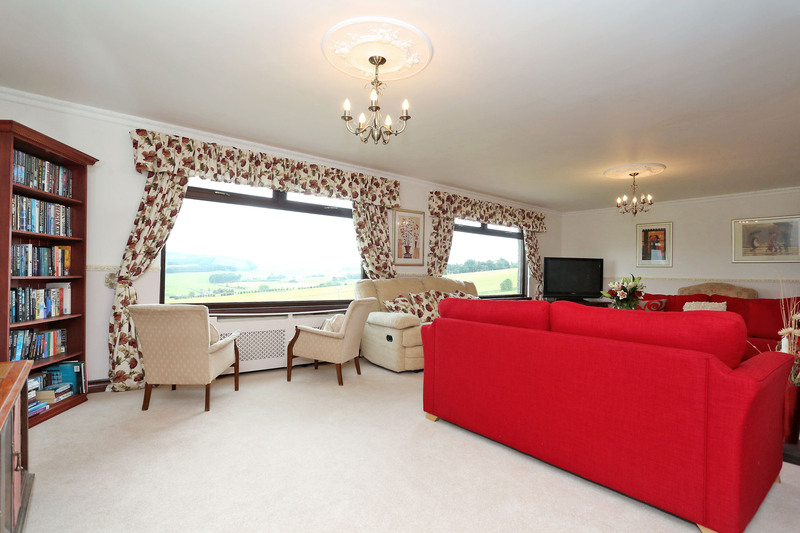 Dual aspect windows provide stunning views over the countryside. This elegant lounge features Italian coving and ceiling rose and focal to this charming room is a wooden fire surround with marble hearth and electric fire. Curtains. Carpet. Upper hallway: This spacious ‘T’ shaped hallway provides access to all of the accommodation on the upper floor. A large built-in cupboard is utilised as a small office with lighting and telephone point. A further built-in cupboard houses the hot water tank and provides further excellent storage facilities. Carpet. Master bedroom: 3.69m x 4.45m (12’.1” x 14’.7”) Approx. 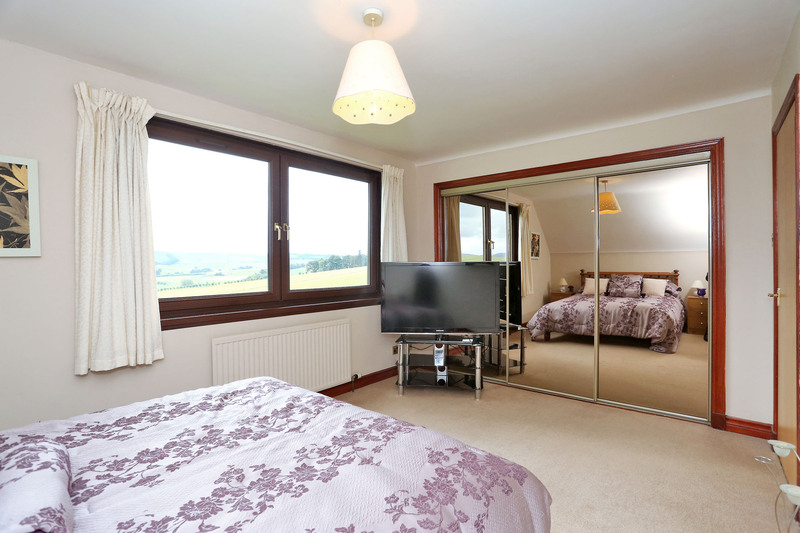 A well appointed master bedroom with panoramic views over the countryside. Triple wardrobes with sliding mirror doors provide excellent hanging and shelved storage. Telephone point. Curtains. Carpet. 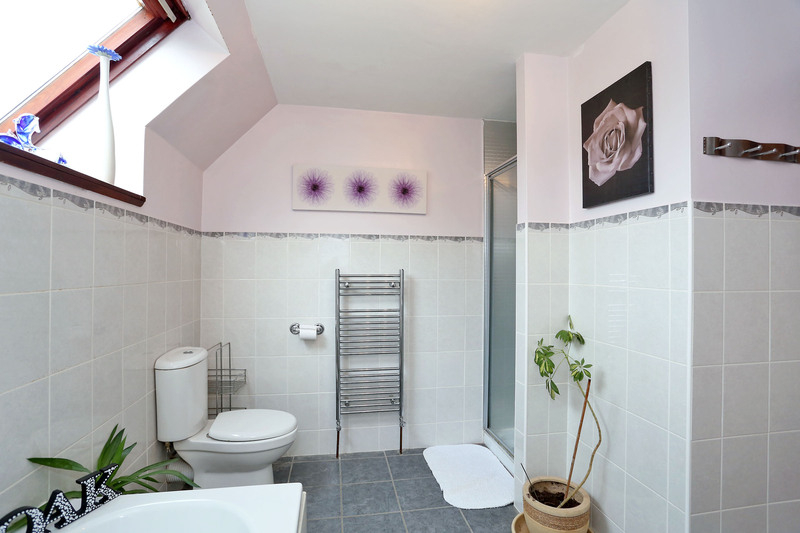 En-suite shower room: A large opaque window provides ample natural light into this well-appointed room. Featuring a white two piece suite comprising of a W.C., and modern wash hand sink with vanity unit below. Shower cubicle with aqua board lining and electric shower. Sauna room. Bathroom fitment is to remain. Wooden laminated flooring. 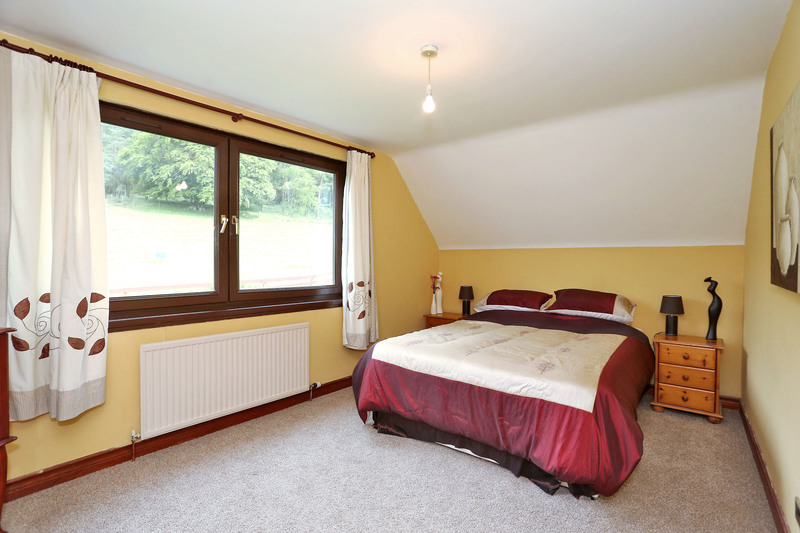 Bedroom 2: 3.44m x 3.28m (11; .5” x 10’.9”) Approx., Double bedroom located to the rear of the property. Built-in wardrobe provides ample hanging and shelved storage. Curtains. Carpets. 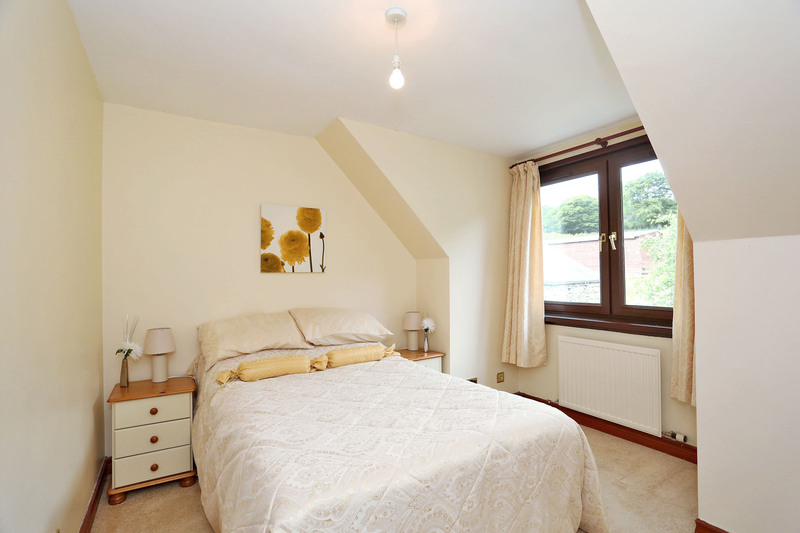 Bedroom 3: 4.50m x 2.99m (14’.8” x 9’.9”) Approx.A bright and airy room located to the rear of the property. Triple built in wardrobes with sliding mirror doors provide excellent hanging and shelved storage. Carpet. Curtains. Bedroom 4: 2.66m x 4.13m (8’.8” x 13’.6”) Approx. 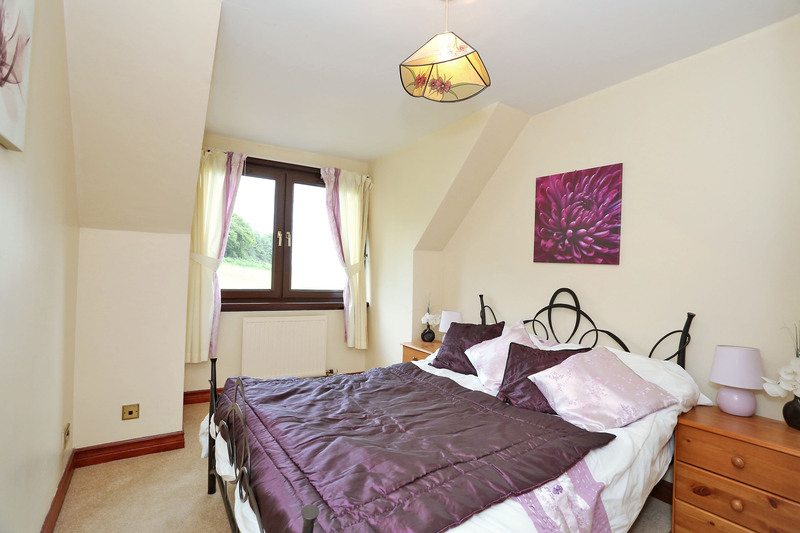 A further double bedroom located to the side of the property. Ample room for free standing furniture. Carpet. Curtains. Bedroom 5: 4.48m x 3.02m (14’.8” x 9’.10”) Approx. 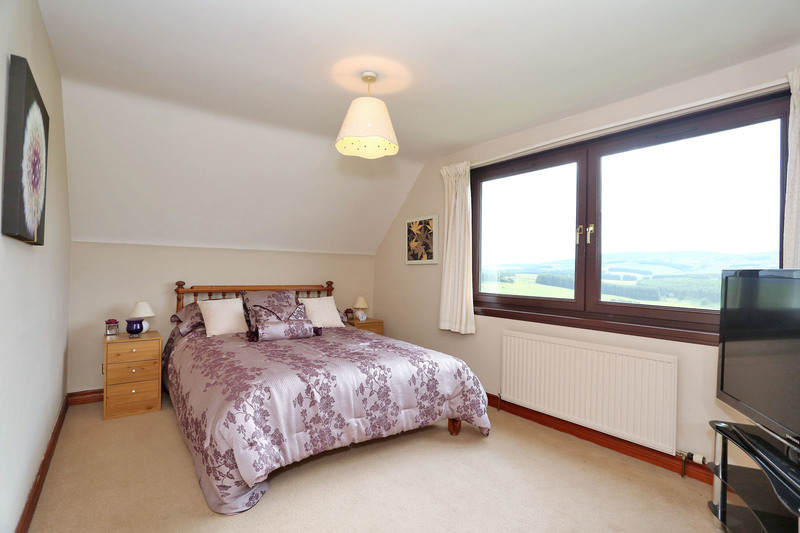 A bright and airy bedroom with beautiful views over the countryside. Built-in triple wardrobes with mirror sliding doors provide excellent hanging and shelved storage. Carpet. Curtains. Television point. 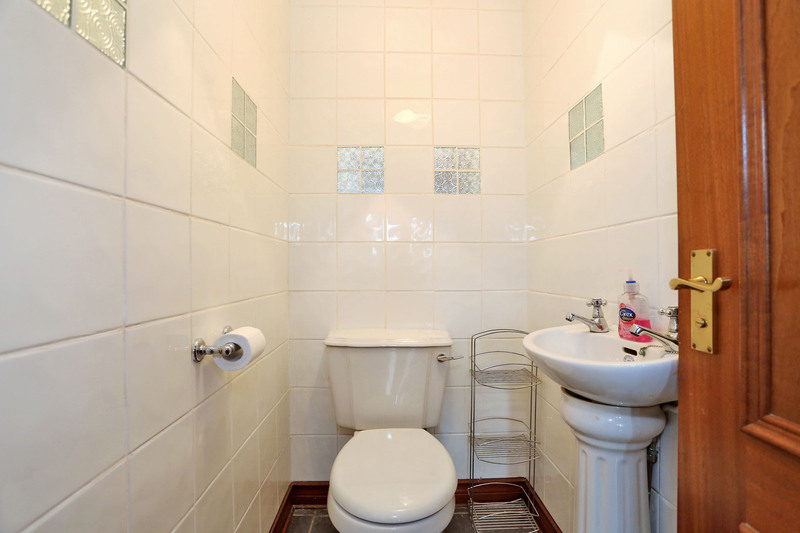 Family bathroom: 3.02m x 2.70m (9’.10” x 8’.10”) Approx. 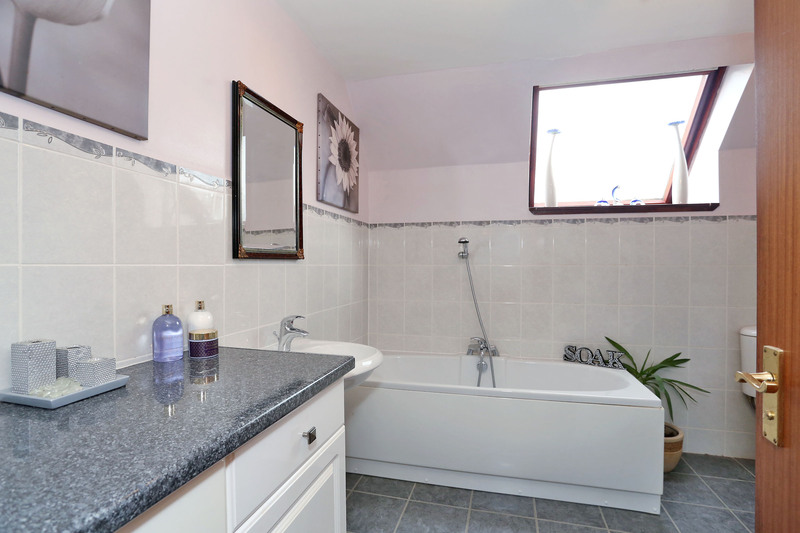 A Velux window provides ample natural light into this generous sized family bathroom. Featuring a white three piece suite comprising of W.C., wash hand sink with pedestal and bath with shower attachment. Shower cubicle with electric shower. Low level vanity unit with roll top. Ceramic tiled flooring. Bathroom fitments are to remain. 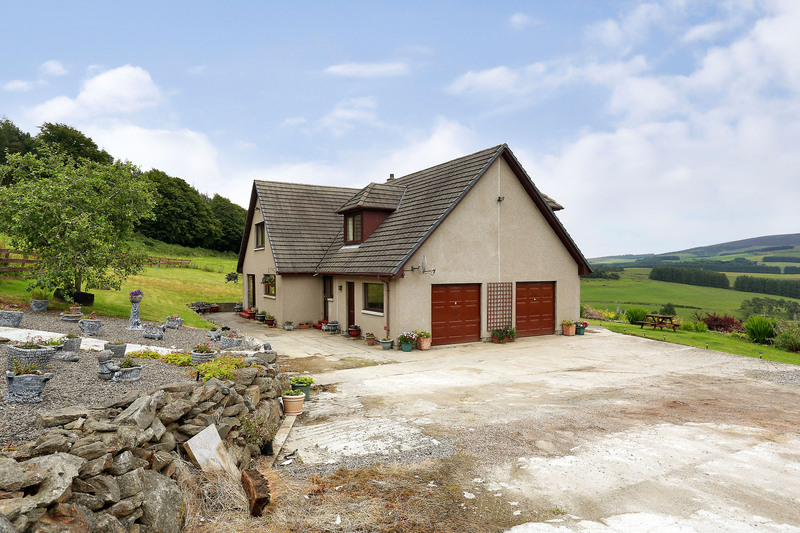 Outside: The property sits in approximately 3 and a ½ acres of ground divided into a large field to the rear of the property, stable blocks, large stone built workshop. 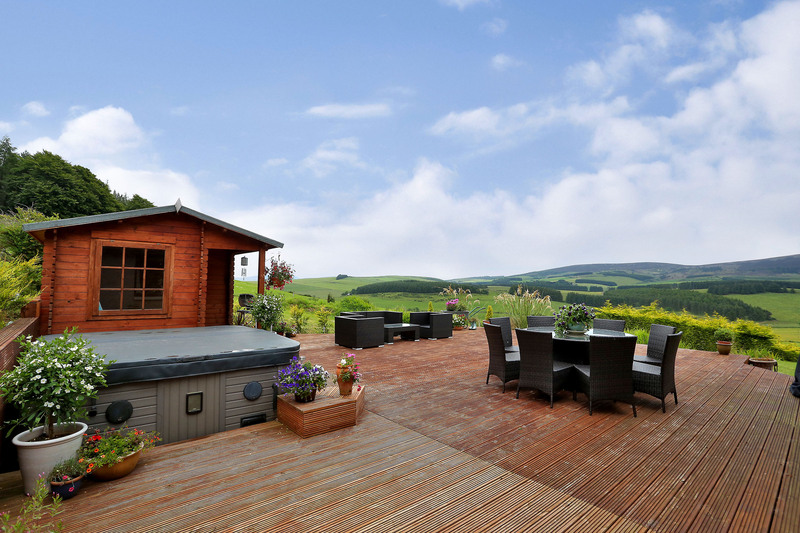 Decking with hot tub and summer house. The tiered garden to the front of the property with a plethora of established flowers, shrubs and plants. 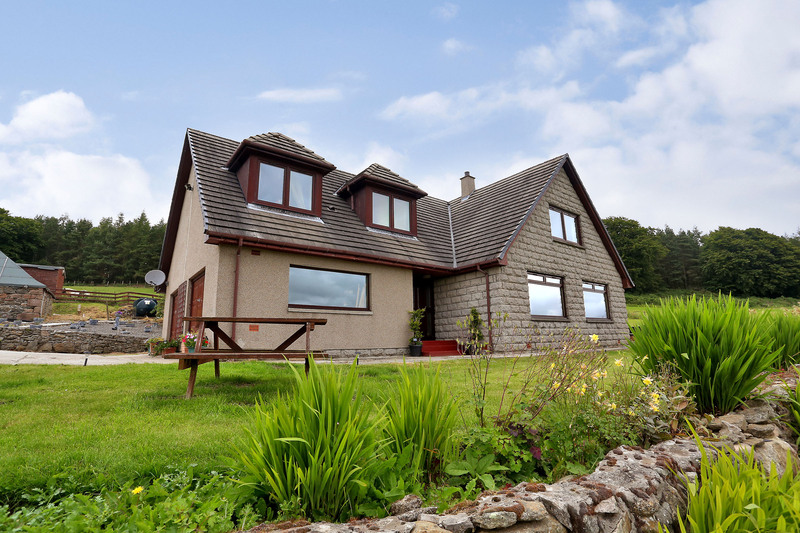 The property has a private water supply with a working well. Directions: From Aberdeen head towards Alford on the A944. Turn off at the sign for Tough. At the cross roads turn left. Approximately 2 miles further on at the sign for Craigivar Castle on your left take the road on your right. On the brow of the hill take the farm road on the right. Pass the farm buildings and the property is at the end of this road.